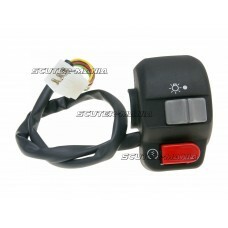 Right-hand scooter switch gear with integrated light switch and E-starter, for models with front dru..
Right-hand scooter switch gear with integrated light switch and E-starter. 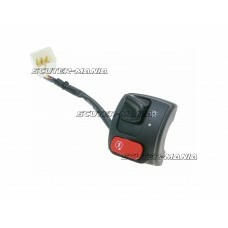 Please check the product ..
Universal kill switch with light switches and electric starter for the right side of the handlebar o..
Switch assembly with light switches and electric starter for the right handlebar. 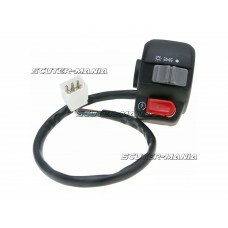 Fits Aprilia Scara..
Switch assembly with light switches and electric starter for the right side of the handlebar on Derb..
Switch assembly with light switch and the electric starter for the right side of the handlebar on va..
Switch assembly with light switches and electric starter for the right side of the handlebar differe..
Switch assembly suitable integrated for the right side of the handlebar for Yamaha Majesty 125, 150 ..
Switch assembly with light switches and electric starter for the right handlebar. 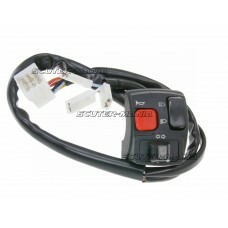 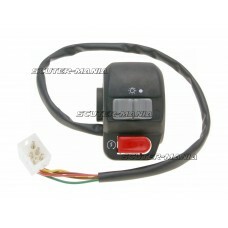 Suitable for MBK S..
Switch assembly with light switches and electric starter for the right handlebar. 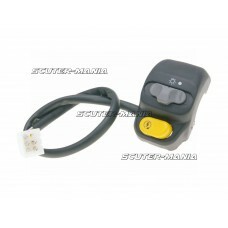 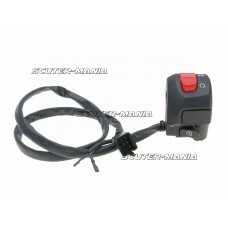 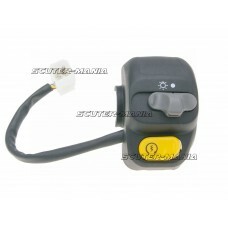 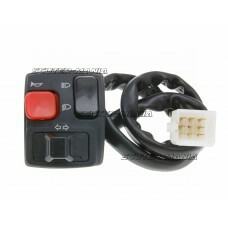 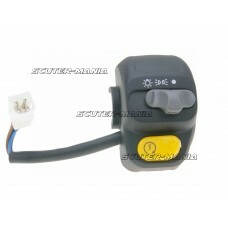 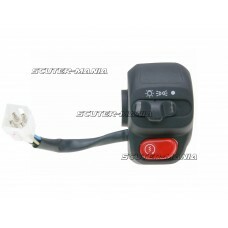 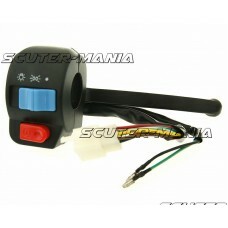 Suitable for Peuge..
Switch assembly right-hand side for Peugeot XR6, Vivacity, MH, Rieju scooters and geared mopeds. 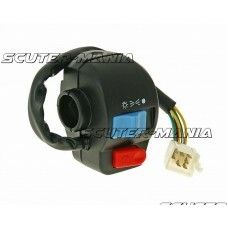 Int..
Left side indicator, light and horn switch unit for Derbi Senda, Aprilia RX / SX and Gilera SMT, RCR..
Left side indicator, light and horn switch unit for Motorhispania Furia Max Cross and Furia Max SM g..
Left side indicator, light and horn switch unit for Motorhispamia RX 50, RYZ 50 and YR11 50 geared b.. 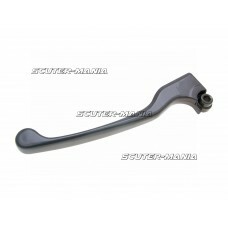 Original replacement left-hand brake lever or clutch lever, respectively, in black colour for Vespa ..